Kotlenik promet aims to be a producer of meat and meat products, recognizable by its consumers for their high quality and safety. 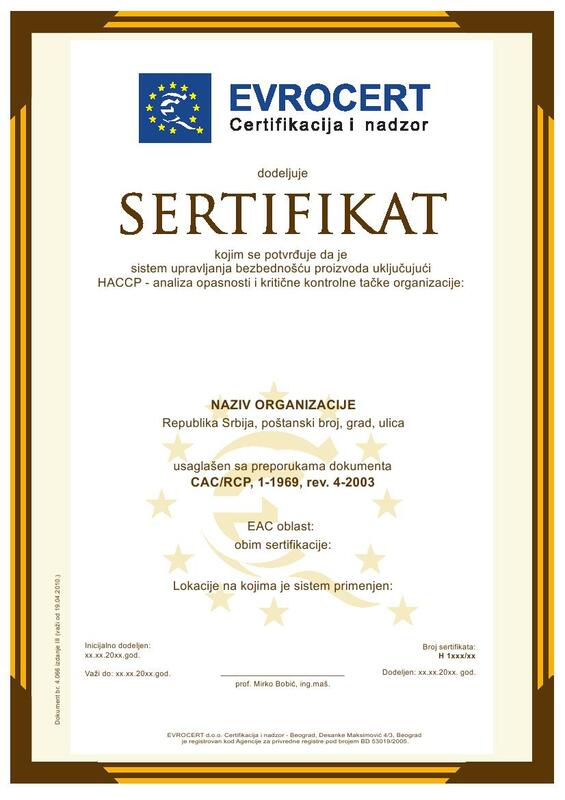 Therefore, ever since 2007, HACCP food and animal feed safety management system and ISO 9001:2008 quality management system have been adopted and implemented. We intend to establish, maintain and continuously improve quality management systems and food and animal feed safety management systems according to the requirements of the adopted standards, and aspire to increase customer satisfaction. By applying the principles of HACCP in the production and development of new products and using modern technologies, our sole mission is a safe, healthy product, with no consumer complaints and product recalls. mplementation of quality management system has a great strategic importance for all aspects of business. 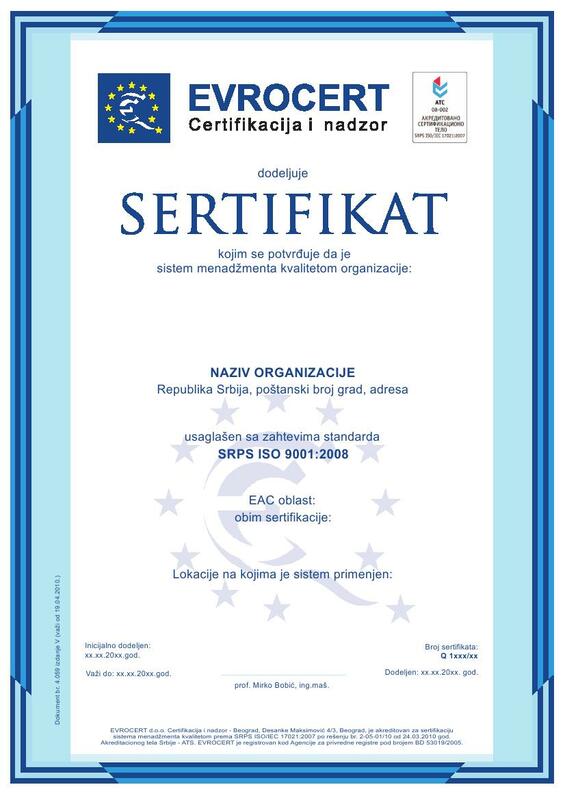 Therefore, the standard ISO 9001:2008 is applicable to all companies regardless of their type, size of company, production or services and can only be used for management certification in the business world. The certification process begins with the quality management system fully documented, reviewed and approved by the management and then implemented in every phase of production. Once these standards have been successfully implemented, Independent international organization for certification issues the ISO 9001:2008 certification. Certification represents an external control, and after their positive report, the issuance of quality certificates, updated annually, follows. HACCP is an internationally recognized way of managing food safety based on the analysis and control of potential biological / microbiological, chemical and physical hazards during handling raw materials, possible hazards during handling, production, distribution and consumption of the final product. This HACCP system is completely customizable for all types of food products and every phase of production and food handling. HACCP system is used to identify and control health hazards which have the highest risk for food safety. Its main characteristics are that it is a documented and verifiable system, scientifically based, and used preventively as the risk assessment tool.